Last night's Knitting Madness Hangout was brilliant! Thank you so much to Christine @ The Knitting Corner who helped make the event so worthwhile, it was so great to meet with another person on the other side of the globe who shares the same interests as myself! In yesterday's Hangout we discussed stitch patterns and each had to bring by a swatch of our chosen pattern and talk about them, difficulties, where we would use the pattern etc. It was really something! Unfortunately, not everyone who said they would be coming arrived, but I am hoping the next event will be more successful! Do you want to be included in the next event? That's right fellow knitters - favourite yarns will be on the block! Do you have a favourite yarn that you always fall back on? That you have used for several projects? 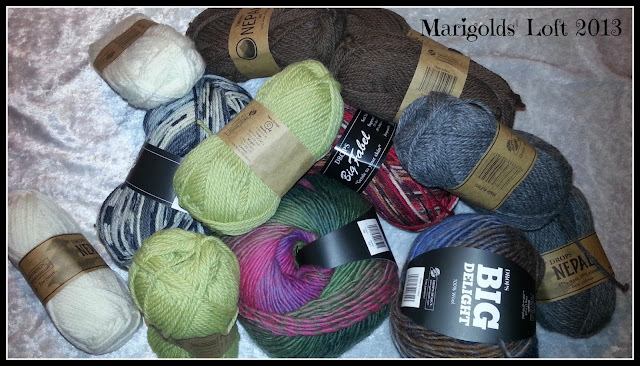 A Yarn that you know will make your projects extra special? Come on in and share with us! 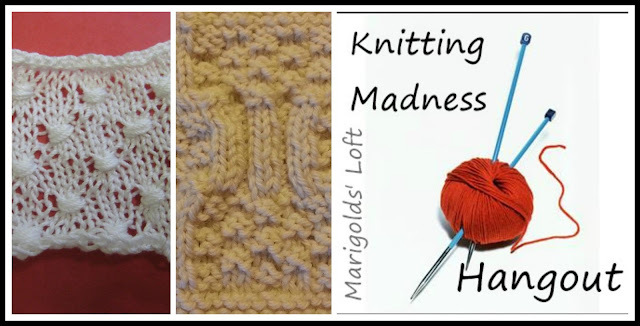 When will the next Knitting Madness Hangout take place? You will have the chance to meet fellow bloggers, knitters, crafters. You will also receive a completed PDF Reference file with all notes that are discussed by participants. As with the last Hangout, places are limited to 10 people*, and places will be filled on a first come first served basis. To secure your spot, please fill in this Invite. Please note: All spots have been taken and no more participants will be accepted for this event. Come back on Monday 29th July to secure your spot for the next event! Once I have received your details, I will be in contact with you to confirm your reservation. I look forward to spending some fabulous time with you all! *Important: Please be considerate of others who may want to attend! If you reserve a spot but cannot commit to the date or time and do not tell me at least 48 hours before the event that you cannot attend, you will forfeit being able to attend future events. This Hangout was not videoed but the next one will be. The new dates will be published on Monday, I hope you will be able to make the next one, it would be great to meet you.